Little documentary information is available on the painter Juan Niño de Guevara and art historians have thus had to make use of the biography of this Andalusian artist written by Antonio Palomino in the early 18th century. 1 According to that author, Niño de Guevara was born in Madrid in 1632, moving with his family to Malaga when still young as part of the retinue of his uncle, Bishop Antonio Enríquez de Porres. In Malaga he entered the studio of Miguel Manrique (doc. between 1637 and 1647), a painter of Flemish origins notably influenced by Rubens’s prints. 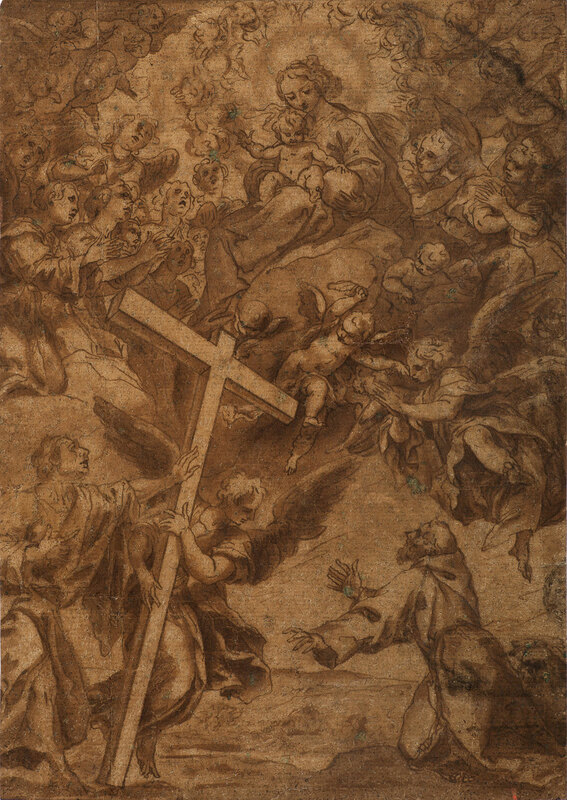 In 1676 Niño de Guevara went to Cordoba to paint canvases for the cloister of the monastery of San Agustín. On his return to Malaga and until his death in 1698 he focused on the production of paintings for the city’s numerous religious houses and churches. 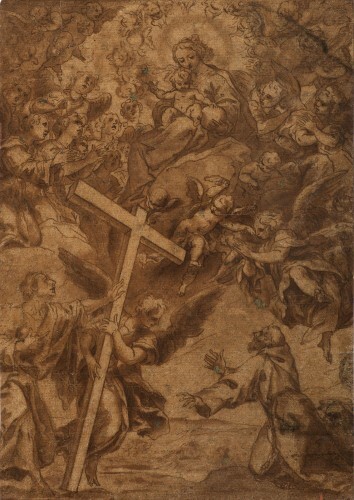 Among his works are The Assumption of the Virgin and The Ascent of Christ for Malaga cathedral, and the series of canvases for the Hospital de San Julián in that city. Ceán Bermúdez (1800), vol. III, p. 233. On this subject, see Pérez Sánchez (1996), p. 276; Clavijo García (1974), pp. 76-77; Apelles Collection (2002), pp. 187-188; and Semblantes (2011), p. 92. On this subject, see Apelles Collection (2002), pp. 188-189 and Véliz (2011), p. 202, cat. no. 67. Pérez Sánchez (1986), p. 303. Ceán Bermúdez’s comments should also be borne in mind here as they reflect the extent to which Niño de Guevara was familiar with Cano’s technique at first hand: “[…]. It was all done by Cano, as he went to Malaga and executed for him the drawings for the works that he painted in the cloister of the Augustinians in Granada, and for other works.” Ceán Bermúdez (1800), vol. III, p. 234. On these works see, respectively, Véliz (2011), p. 205, cat. no. 68; Legado Villaescusa (1993), p. 117, cat. no. 23; and Apelles Collection (2002), pp. 186-189, cat. no. 42. Ceán Bermúdez (1800), vol. III, p. 235.